Adele Lafrance, C. Psych Co-authors: Kenneth W. Tupper and Anya Loizaga-Velder, Ph.D. Eating disorders (EDs) have the highest mortality rate of all mental disorders. They are highly treatment-resistant and as such new treatments must be explored. Scientific research into the potential therapeutic benefits of Ayahuasca – a traditional Amazonian plant-based medicine - shows promise for depression, anxiety and addictions. As such, the use of Ayahuasca in the context of ED was explored in order to identify variables that may influence healing outcomes, potential risks associated with ayahuasca-assisted therapy and recommendations for use. Seventeen participants who reported a diagnosed ED and who also experienced ayahuasca in ceremonial contexts participated in the study. Most participants (n=14) had engaged in formal ED treatments of varying intensity. A semi-structured interview was administered and questions explored the potential issues with food restriction and the experience of purging related to ayahuasca drinking. Transcripts were analyzed using a grounded theory approach. Major themes identified related to the perceived effects of the ceremonial use of ayahuasca on ED symptoms, general mental health and quality of life. Additional themes related to the use of ayahuasca as an intercultural “psychotherapy” with clear distinctions made with Western models of ED treatment. Participants also differentiated the experiences of restricting and purging as part of ED symptomatology versus those related to ayahuasca drinking. Challenges, risks and recommendations were identified. The results of this study suggest that for some individuals, ceremonial ayahuasca drinking shows promise in the healing of an eating disorder. Additional research is warranted to clarify the settings under which this healing modality is appropriate. 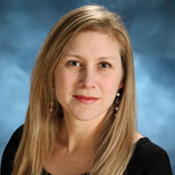 Adele Lafrance, C. Psych is a Psychologist and Associate Professor at Laurentian University in Sudbury, Ontario. Dr. Lafrance has published extensively in the field of clinical psychology - eating disorders in particular - and she is the co-developer of Emotion-Focused Family Therapy. Dr. Lafrance is currently studying the use of plant medicines and psychedelics in the healing of mental health issues, with a particular focus on ayahuasca and eating disorders. Kenneth Tupper is an Adjunct Professor in the School of Population and Public Health at the University of British Columbia. His scholarly interests include: psychedelic studies; the cross-cultural and historical uses of psychoactive substances; public, professional and school-based drug education; and creating healthy public policy for currently illegal drugs. Kenneth’s doctoral research developed the concept of “entheogenic education,” a theoretical frame for understanding how psychedelic plants and substances can function as cognitive tools for learning. Anja Loizaga-Velder is a German-Mexican clinical psychologist and psychotherapist who has been collaborating with indigenous healers and investigating the therapeutic potential of the ritual use of psychedelic plants for over 20 years. She earned a PhD degree in Medical Psychology from Heidelberg University in Germany with a doctoral dissertation on the topic: “The therapeutic uses of ayahuasca in addiction treatment”. She is founding member and director of research and psychotherapy of the Institute for Intercultural Medicine Nierika, A.C. in Mexico, a Mexican NGO dedicated to the investigation and preservation of indigenous traditions with sacred plant medicines and therapeutic applications of these medicines in the treatment of mental health challenges. Anja also works as a postdoctoral researcher in Health Sciences at the National Autonomous University of Mexico (UNAM), where she works towards implementing a controlled clinical trial for evaluating the therapeutic efficacy of ayahuasca for addition treatment and also collaborates on a international qualitative study researching the therapeutic potential of ayahuasca in the treatment of eating disorders.